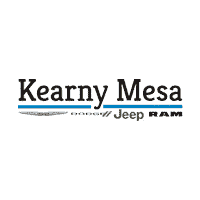 Kearny Mesa Chrysler Dodge Jeep RAM invites you to search our fantastic stock of used cars, trucks, vans, and SUVs for sale in San Diego, CA. Our customer service specialists are standing by to help you find the next car of your dreams. Please browse through our New Vehicles Inventory if you are interested in our New Models and don’t forget to take a look through all of our specials on new cars in San Diego as well!. Also, don’t forget to ask about our used car financing program. From perfect credit to low credit, Kearny Mesa Chrysler Dodge Jeep RAM will work hard to get you the used car financing you need. View our inventory online, stop by for a test drive, or call 858-560-7100 today. Visit our Service Department for all your used vehicle servicing needs. One Owner fresh trade. Bright White Clearcoat 2016 Jeep Cherokee Sport FWD 9-Speed 948TE Automatic 2.4L 4-Cylinder SMPI SOHC Recent Arrival! 22/31 City/Highway MPG. SUV and a gas saver. Granite Crystal Metallic Clearcoat 2016 Jeep Patriot Sport FWD 2.0L I4 DOHC 16V Dual VVT Dark Slate Gray w/Premium Cloth Bucket Seats or Cloth/Vinyl Low-Back Bucket Seats or Ombre Mesh Bucket Seats. Recent Arrival! White Knuckle Clearcoat 2018 Dodge Grand Caravan SE FWD 6-Speed Automatic 3.6L V6 24V VVT Recent Arrival! Black 2016 Jeep Cherokee Latitude 4WD 9-Speed 948TE Automatic 2.4L 4-Cylinder SMPI SOHC Recent Arrival! Bright White Clearcoat 2016 Jeep Patriot High Altitude FWD CVT 2.0L I4 DOHC 16V Dual VVT Dark Slate Gray w/Premium Cloth Bucket Seats or Leather Trimmed Bucket Seats, ABS brakes, Electronic Stability Control, Heated door mirrors, Heated front seats, Illuminated entry, Low tire pressure warning, Remote keyless entry, SIRIUS Satellite Radio, Traction control. Recent Arrival!